None of the lower 48 have gone without a blanketing of snow this winter. With so much snow to get rid of, finding a reliable and efficient snow removal contractor is imperative. Randy Strait, a leading industry expert, shares five tips for businesses looking to keep the ice and snow from freezing their profits. Snow and ice hamper the ability to profit, whether its due to decreased parking options or liabilities from slips and falls. 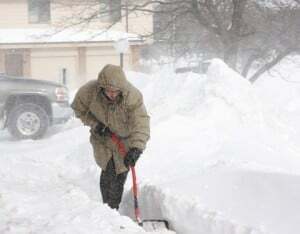 Planning for the inevitable will ease the burden and financial hard-fall, says Randy Strait, who has been a snow-removal contractor for nearly four decades. He owns Arctic Snow & Ice Control Inc. and has seen just about everything over the years. He offered five simple tips for businesses looking to keep the ice and snow from freezing their profits. 1. Track it digitally. Lawsuits from slips and falls can top a half million dollars. Hiring a snow contractor that maintains electronic job tickets with GPS tracking will provide a level of insurance for a business if it becomes the target of a lawsuit ” even if its a couple of years down the road. If a contractor is deposed in a case and has maintained impeccable records, the business or property management company will be able to easily prove it was not at fault. 2. Ensure its insured. While digital tracking provides a form of insurance, actual insurance thats adequate and from a reputable agency will protect a business further. 3. In it to win it. Just because the mercury climbs to 70 degrees one day doesnt mean that winter is over. Temps fall just as fast as they climb, and a snow removal contractor must have equipment and personnel ready to respond on a moments notice between Nov. 1 and April 15. 4. Owned and operated by … Its not unusual these days for a big company to subcontract jobs to other businesses that sometimes turn around and produce a third-generation contract. Each step separates the business farther from the work they want done, and the quality often diminishes with each subcontract. Hiring a contractor who owns and operates his or her own equipment provides greater assurance that the job will be done right and completed quickly. Beyond that, a small subcontractor wont have the buying power a bigger contractor will. When theres a salt shortage, guess who loses out? A contractor large enough to purchase and store their own salt ahead of time will prevent the slippery havoc ” and liability issues ” that could follow. 5. Thrice as nice. Plan out three to five years when hiring a contractor. They will be more familiar with the property and more likely to purchase specialty equipment for the particular job when theres a long-term investment. Of course, be sure to have a 30-day cancellation notice due to poor service written into any contract as a fail-safe.